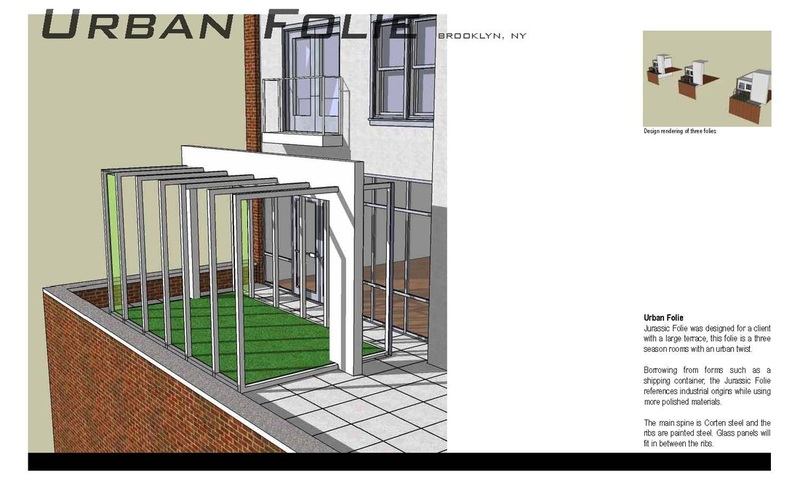 Client wanted a semi-enclosed pavilion on their terrace. 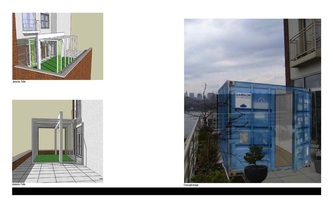 The final design was a refined abstraction of the industrial shipping container form. 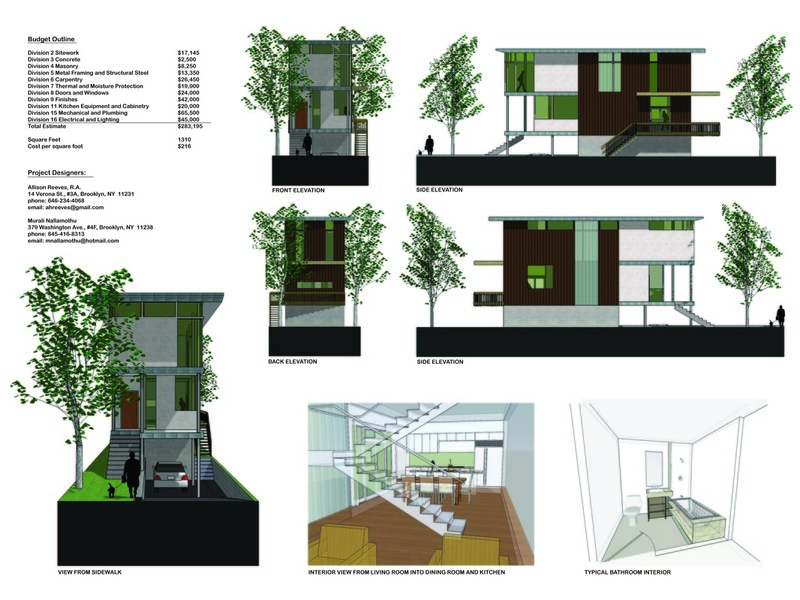 The competition asked for designs for pre-fabricated housing on an urban site in Atlanta. 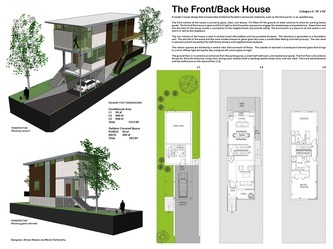 The design needed to be adaptable to many infill sites. My proposal was a panelized structure that engages in a dialogue between the public face of a house and the need for privacy. 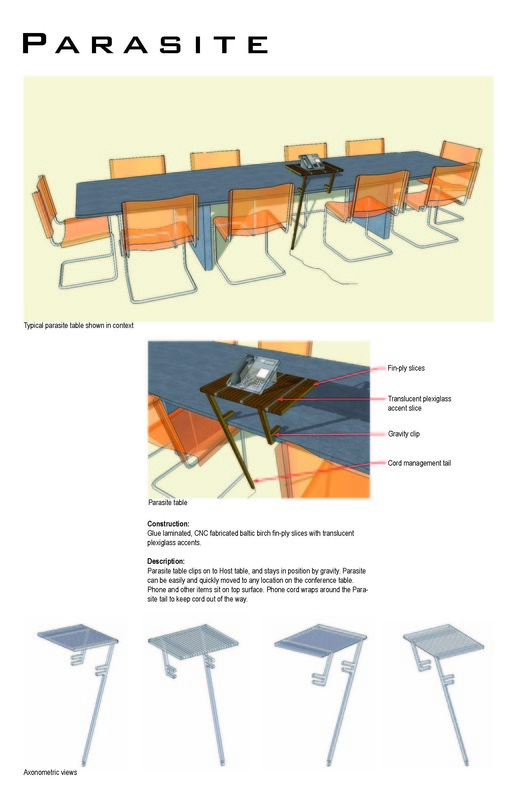 Design for a conference room side table that used CNC fabrication technology. The design is a layered wood table that can clip on to the edge of any table and use only gravity to secure it to the host table. 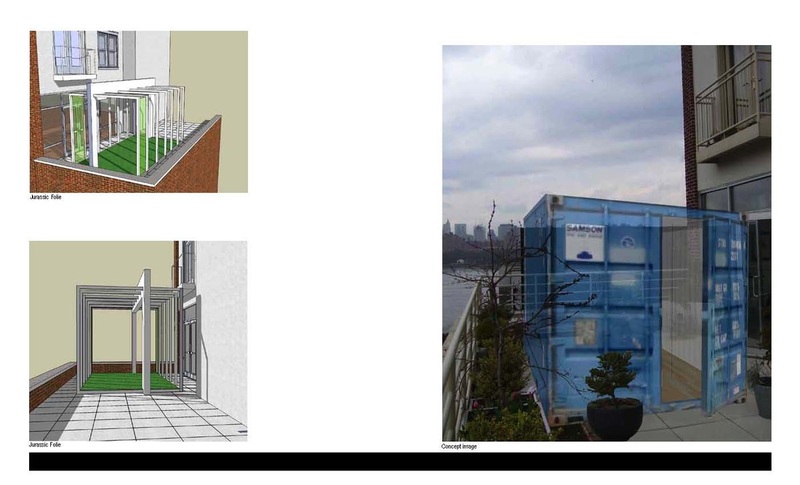 The design is easily scaleable to various lengths.